Faith | Why Dont You Blog? Darwin is not the atheist god. In today’s Guardian, Madeleine Bunting has obviously run out of things to write about and pulled a bit of a weird post about atheists and Darwin to try and stir things up (and she has succeeded here at least 🙂 ). He is, Newton apart, the greatest British scientist ever, so it makes good sense for the British Council, among others, to use this as an opportunity to flag up the prestigious history of British science. What drives this anniversary is a missionary zeal to persuade and convince the public of the truth of Darwin’s great discoveries, because, astoundingly – despite the mountain of scientific evidence – there is still considerable scepticism and even hostility to this great Victorian. A poll for the BBC in 2006 found that less than half the British population accepted the theory of evolution as the best description for the development of life. Less than half. In a “largely” secular nation. Sad, isn’t it. I have some doubts of the figures, because I know of no-one personally who would say Evolution is false. For 30+ million people in the UK to think this, the chances of me never having met even one is pretty remote. While I personally feel the figures are somewhat inaccurate, it doesn’t matter. One person thinking the Sky Pixie shook magic dust out and life appeared is one too many. From this point on, however, it goes downhill. Madeleine falls into the trap of thinking Darwin is the Atheist equivalent of Jesus. She seems to think that atheists require a historical icon to have been an atheist to support the cause. She seems to imply that Darwin has become the Old Testament Prophet of the New Atheism. In particular, what would have baffled Darwin is his recruitment as standard bearer for atheism in the 21st century. Where has this come from? Creationists initiated the battle against Darwin, invoking their god to strike down evolution. Religious people of almost all persuasions are happy to accept evolution as valid science. The catholic church has embraced the work of Darwin. How in the name of Wotan is Darwin the “standard bearer” for Atheism? I actually think Madeleine has mistaken Darwin for Dawkins. Easily done, but a mistake none the less. Yet bizarrely, the whole 19th-century collapse of faith is now pinned on Darwin. Only by Creationists. Again, she is using the arguments of creationists against atheists. Madness. There have been atheists as long as there have been humans. We are born atheists and some are converted into theists. The Royal Society was full of non-theists who had nothing to do with Darwin. This is just nonsense you would expect to see on Rapture Ready or CARM. The fear is that the anniversary will be hijacked by the New Atheism as the perfect battleground for another round of jousting over the absurdity of belief (a position that Darwin pointedly never took up). Agnosticism is not a valid belief structure. You either believe there is a god, or you dont. There is no new way to not believe, just in the modern world people are less frightened of stating they don’t believe. It is not “militant atheism” any more than Songs of Praise is militant Christianity. Many of the prominent voices in the New Atheism are lined up to reassert that it is simply impossible to believe in God and accept Darwin’s theory of evolution; Richard Dawkins and the US philosopher Daniel Dennett are among those due to appear in Darwin200 events. Wow, this is good. There are two points here and she writes to imply they are heavily linked. She first tells us that people are lined up to assert that it is impossible to believe in a Deity (any deity) and accept Evolution and then mentions Dawkins. The implication is clear, Dawkin will be one of these people. This appeals on some levels, because Dawkins is an outspoken atheist (damn his eyes for having the temeretity to speak out….) but it is clearly written by someone who knows nothing of what Dawkins has said. It is possible to believe in the Christian God and accept evolution. Evolution makes no claims on the origin of life. The Catholic church is happy that God planted the seeds and life evolved. See, it is easy. Evolution disproves a literal interpretation of the bible, but outside the more fundamentalist minds this is rarely found anyway. It is, largely, only devout creationists who feel that Evolution alone challenges God. 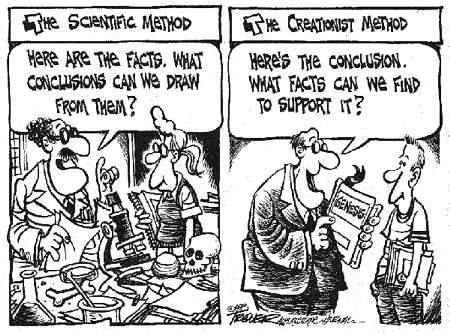 Science as a whole challenges belief. In the God Delusion, and during his TV shows and talks, Dawkins uses a vast array of scientific fields to challenge the existence of any deity. I can not think of a scientific disciple which does not provide information to show there is no [Wotan|Odin|Thor|Set|Dievas|Allah|Krishna| etc]. Astronomy and Geology rubbish any idea of a literal interpretation of the biblical creation theory. Evolution is but one strand. No one would say “hey, ignore everything else in science, the only thing that disproves the bible is the genetic similarity between humans and chimps” (or what ever variation you want). There is a group of people who do think Evolution is the only means by which God can be disproven. These people are convinced that the rest of the scientific stable supports the existence of god, and provides a framework for him to exist. These people also think Dawkins is the evil spokesman of “Darwinism” and these people use the term “New Atheism” to put down those uppity non-believers who have the cheek to speak out in public. Madeleine Bunting’s article has been so heavily influenced by creationist thinking you could almost read it on CARM, Uncommon Descent or the like. Almost but not quite. The terms are creationis terms. The arguments are creationist-inspired. But the general tone is one of a non-believer. I suspect there is some element of lazy journalism here, or a creationist researcher, or both. Possibly, Madeleine Bunting is an “Old Atheist” – the sort who kept quiet, went to church, paid a tithe etc but didn’t have faith – or perhaps she is an “Agnostic” – an atheist who wont admit it – but either way, she is wrong about Atheism needing, wanting or having a standard bearer in the form of Charles Darwin. Q: ……. Is this a comment on the current vogue for atheism? A: Maybe it’s making a slight comeback. In the ’60s and ’70s, religion was in extreme retreat. It really felt as if that subject was over. The idea that we would have to reckon with religion as a major force in public life would have seemed absurd, if you had suggested it to me when I was in my 20s. For someone of my generation, what’s been shocking is the way that religion has rushed back and returned to public life. And it’s only happened since the 1980s. In the Eastern hemisphere, it’s the rise of radical Islam and here it has to do with the Christian right. Absolutely right. Ideas that seemed twenty years ago to have only historical value are now powerful mass motivators. … I have no problem with religion, as long as it’s private. If people find it consoling or uplifting or nourishing – not my business. Why should I dictate to people what they should enjoy? I may think they’re dumb, but it’s not my business. Where it becomes my business is when it comes into the public arena and is a social and political force that seeks to impose certain norms on society. Then, I think it becomes a malicious force. Well, yes. I tend to agree with him here. We all have an infinite number of false beliefs and they are noone else’s concern, no matter how dumb, unless we act upon them in ways that have an impact on other people. Can you have a personal god belief that’s not produced through society? It doesn’t seem likely. Believing in a concept of “gods” isn’t an automatic response to the wonders of the universe. Otherwise, people wouldn’t bother to indoctrinate their young into their belief systems. We would all be born fully formed christians or muslims or hindus or whatever. Or, at least, all religions would be singing from the same hymnsheet. I’m not convinced that a personal god can be so easily separated from socially organised belief. However, if anyone knows what can happen when you challenge organised religion, it’s Salman Rushdie. So, I take his point that individual folly hardly matters when mass folly is so dangerous. (*) Sorry, sociological and philosophical pedants, I know I am reifying religion here. It’s just a rough description, OK? Blimey. The subtitle “Archbishop sees sense, sort of” was tempting here, but I resisted it. A news item on the BBC today is titled ‘Respect Atheists’ says Cardinal. Basically, the Archbishop of Westminster, Cardinal Cormac Murphy-O’Connor, has called for more understanding of atheists! Wonderful. He also reportedly said: “Believers may be partly responsible for the decline in faith by losing sense of the mystery and treating God as a “fact in the world.‘” Strangely, I agree. Is it right to force people to go through the motions of belief even if they do not hold that belief? Blimey. Now call me old fashioned but this seems like “forced” observance and somewhat flies in the face of the idea of the whole thing. If it is simply a matter of words, why does any one care? Is the ritual of observance actually more important than the persons beliefs or is this a sneaky way of trying to convert people? Who knows. Frankly, if Professor Richard Dawkins can admit to singing Christmas carols with gusto (“O come let us adore Him”), it is hard to see why these clever young things make such a meal of a few words of general gratitude. By Toutatis! Is singing a Christmas carol with “gusto” really the same as being forced to say grace? We seem to have an issue (as one of the commenters points out) where Libby fails to understand the difference between choice and compulsion. This neatly sidesteps the madness which places the two acts in the same category in the first place! Nobody forced them to apply to a 453-year-old institution (there are other Oxford colleges) nor to accept the scholarship when it was offered. It would be brave and principled to refuse the honour and the money on grounds of atheism. This is neither. Well, while I sort of agree – they chose which college they went to – I dont really agree. The award of the scholarship is not based on a persons religious choice, so why does it force an act of observance? I am reasonably sure that the “pious” people who provided the donations which make the scholarship possible would be more upset that non-believers are there than people aren’t going through the motions of grace. I am really surprised that so many “devout” people would rather have lip service paid than faith exist. As you can see, there was no way I wasn’t going to read this! Overall, this is a reasonably well written piece. While it isn’t good enough to make me interested in buying the book it may well appeal to some people with wavering faith and the writing style is certainly inoffensive on the whole. John Humphrys is basically explaining how he went from being brought up a good Christian to his faith wavering and finally he “deconverted” to agnosticism. I wont go into the nonsensical idea that “agnosticism” is anything other than a complete wet lettuce of a philosophical idea, which has at its root the basic assumption that God does exist but is insufficiently proven for worship, that is for another day. 1. Believers are mostly naive or stupid. Or, at least, theyâ€™re not as clever as atheists. 3. They are also pathetic because they canâ€™t accept the finality of death. 4. They have been brainwashed into believing. There is no such thing as a â€œChristian childâ€, for instance â€“ just a child whose parents have had her baptised. 6. If we donâ€™t wipe out religious belief by next Thursday week, civilisation as we know it is doomed. 7. Trust me: Iâ€™m an atheist. I make no apology if I have oversimplified their views with that little list: itâ€™s what they do to believers all the time. 1. This is so clearly untrue itâ€™s barely worth bothering with. Richard Dawkins, in his bestselling The God Delusion, was reduced to producing a â€œstudyâ€ by Mensa that purported to show an inverse relationship between intelligence and belief. He also claimed that only a very few members of the Royal Society believe in a personal god. So what? Some believers are undoubtedly stupid (witness the creationists) but Iâ€™ve met one or two atheists I wouldnâ€™t trust to change a lightbulb. In his first sentence he gets it spot on, but possibly not in the way he thinks and despite his scorn for this it is his first point and he goes to great lengths to try and dismiss it. The reality of the matter is no “militant atheist” I know really thinks all theists are dumb and I would be interested in seeing the published information to support this idea. There are very intelligent and well educated theists – this goes without saying – and equally there are retarded atheists. Here, Humphrys has created a strawman and then attacked it. He tried to demolish it with an appeal to ridicule but, come the crunch, he failed. Nothing in what he writes actually says anything relevant to the point he tries to address so I suspect this is actually proof some atheists are dumb. 2. Donâ€™t we all? Some use booze rather than the Bible. It doesnâ€™t prove anything about either. Here he continues the strawman and again says nothing. I am not sure what point he is trying to make here. Does he mean to imply that religious belief is “good” because some people need alcohol to get through the day? Is he saying that the Bible (or what ever religious belief) is nothing but a crutch for people with problems and then claiming it doesn’t prove the original (yet strawman) argument he presented? If so, he is sadly mistaken. 3. Maybe, but it doesnâ€™t mean theyâ€™re wrong. Count the number of atheists in the foxholes or the cancer wards. Again, he has no point other than a strawman. He has no way of dismissing or even disagreeing with it and finally he trots out the old stalwart of the theist case – Atheists in Foxholes. Now, anyone who has read “God Is Not Great” will know that Christopher Hitchens is indeed someone who has been an atheist under fire, as have I and many, many other people I know. In all honesty, I know more people who have been an atheist in a foxhole than a theist. But even if we assume the claim is correct, it leaves open the argument that the gods the theists are worshipping are somewhat neglectful. Surely they should be caring for their believers more than unbelievers, so why is it so many of the faithful are made to suffer…? 4. True, and many children reject it when they get older. But many others stay with it. This leaves me with a massive “eh?” So what? He agrees with the militant atheist claim, so what is his point? 5. This is also true in many cases but you canâ€™t actually bully someone into believing â€“ just into pretending to believe. Mr Humphrys is misrepresenting the “militant atheists” claim here so that he can simply add a rebuttal in the form of a twist. Obviously he is thinks it is ok for religions to bully people into observing their practices because, deep down, the person doesn’t believe in them. Madness. 6. Of course the mad mullahs are dangerous and extreme Islamism is a threat to be taken seriously. But weâ€™ve survived monotheist religion for 4,000 years or so, and I can think of one or two other things that are a greater threat to civilisation. It seems his liberalised anglican upbringing is showing here. Fundamentalist Islam is, indeed, dangerous in the short term violence aspect but the reality is no amount of terrorist attacks can destroy civilised democracy. Yes, people may die but then people die every day. The destruction of civil liberties that is following the fear of Islam provides a more long-term worry. The destruction of education being forced upon the west by Fundamentalist Christianity is more likely to do long-term harm to our societies ability to exist than people with semtex strapped to their chests. (Even “liberal” Holland is suffering – for example). The “harm” caused by religion is not always exemplified by planes flying into towers – think of the oppression of homosexuals, the subjugation of women, caste systems, refusal of medical treatment for minors etc. Also, I am not sure his history is up to speed either. While Judaism may have been around for 4000 years, it is certainly a lot shorter period of time in which monotheistic death cults have been dominant on a global scale – let alone people who get their orders from the voice in their head god having access to nuclear weapons. 7. Why? For those of us who are neither believers nor atheists it can be very difficult. Doubters are left in the deeply unsatisfactory position of finding the existence of God unprovable and implausible, and the comfort of faith unachievable. But at the same time we find the reality of belief undeniable. Mr Humphrys is asserting he is an agnostic because he finds the existence of god implausible but the reality that people “believe” in god is undeniable so he can’t think of himself as an atheist. It has that wonderful ring of being “true” but it isn’t. Just because lots of other people “believe” something with all their hearts does not mean it is true. For centuries people believed that the Earth was the centre of the solar system, that the solar system was the universe, that stars were ancient warriors, that the gods sat on top of Mount Olympus and interfered with mankind and so on. Not one of these things were true and all the belief in the world will not overturn that. It strikes me that, although Mr Humphrys describes himself as an “agnostic” and ridicules the idea that children are indoctrinated into religious beliefs, he is suffering from this indoctrination. He (I assume) will certainly agree that lightning is not the result of Zeus’ anger, that Neptune does not control the oceans and Loki is not spreading global mischief. He (again, I assume) will agree that there is a continent across the ocean from Europe, that the Chinese are not devils, that elves do not live in woods, dwarves do not mine gold in the Norse mountains, faeries do not steal Irish children and the tooth fairy is not responsible for the coin under the pillow. All of these things have at some point been believed to be true by people over the world. All of them. They all have as much evidence for existing as the Christian God. If the existence of belief is proof of existence, then they exist. The existence of the things I mentioned is implausible and unlikely, but this seems not to matter to Mr Humphrys. I find myself wondering if he really does doubt the existence of god. As for the fanatics â€“ religious or secular â€“ history suggests they succeed only to the extent that we allow ourselves to be defeated by our own irrational fear. For every fanatic there are countless ordinary, decent people who believe in their own version of a benevolent God and wish no harm to anyone. Many of them regard it as their duty to try to make the world a better place. It is too easy to blame the evils of the world on belief in God. In the end, if we make a mess of things, we shall have ourselves to blame â€“ not religion and not God. After all, he doesnâ€™t exist. Does he? While I actually agree with the first part of this (and this is why I feel the “fear of Islam” is more worrying than the effects of actual terrorism), he finishes it up by missing the point completely. I know of no atheists who blame god for the world’s troubles. The blame has, at times, been placed on religion which, despite the assertion he closes with, is something he seems to be agreeing with. The people are making a mess of things. They are making a mess of it under the idea that they are working to a higher power and worldly suffering will be followed by a reward in the afterlife. This is the result of religion not secularism. A few months ago, I opined about the problems of using public debate to determine the value / validity of science. I think, now, this is even more “true” than I did previously. Over the internet there are a variety of blogs, both theist and atheist, which have looked at the recent Nightline debate between the Rational Response Squad and the trained monkeys (Comfort and Cameron). With a few exceptions from the more dogmatic, fundamentalist, Christian blogs, most commentators agree that the RRS had a more convincing argument and that the trained monkeys were drowning under their own poor logic. Sadly, most of the blogs also agree that the poor RRS duo came across very badly. This is not a reflection of them as people and it certainly is not a reflection of the subject matter they were presenting. The fact of the matter is that public speaking is not second nature to most people. Doing so on TV is more daunting and being able to talk without demonstrating nervous habits is something which takes practice and training. Comfort and Cameron are not really hampered by this (one being an actor and the other a preacher), and during the debate, the “comfort” with which they spoke was apparent. Now, they were let down by their inane nonsense and condescending attitude, but it could have been a close call. Imagine a similar debate, this time not between such highly polarised topics where people have pretty much all made up their own minds. If this were, say, a debate between the Ekpyrotic theory and the Big Crush theory would people be swayed more by the evidence or the skill of the presenters?